Americana is one of those genre definitions that is often used to describe an artist or band who exhibits a strong appreciation for and influence from blues, folk, country, bluegrass, and Southern rock, but really seems to have an aesthetic that doesn’t suit those terms very well. In fact, sometimes the aesthetic actually feels almost diametrically opposed to the stereotypical look and feel carried by those genre labels. Like other several other genre labels that have become in vogue over the more recent times – such as alt-country – the Americana genre is broad and used to describe a large variety of styles. 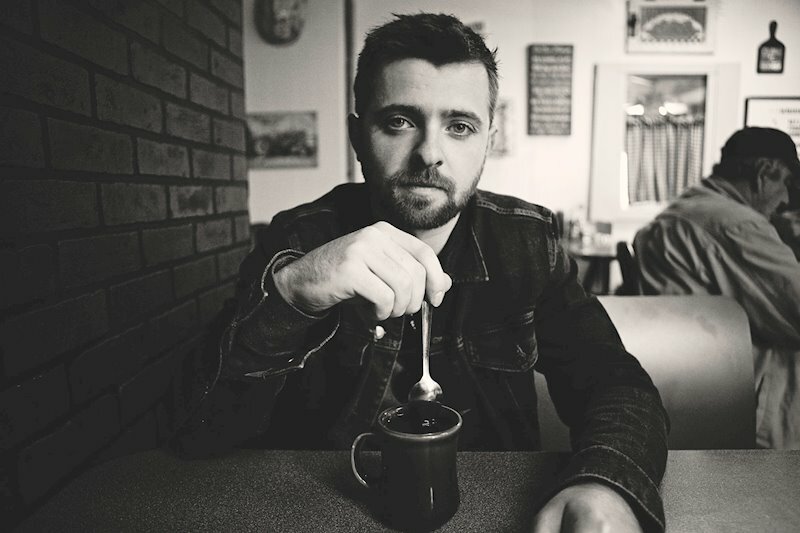 Thus, it makes sense that Maxwell James, who I’d describe as an Americana artist, seems to blend a variety of influences and may be hard to pigeonhole in regard to his exact sound or flavor. Fans of artists like Kings of Leon or the various projects of Jack White will find in James an artist they can appreciate. There’s a bluesy quality to James’s voice and style, which may be most evident in the decidedly blues influenced opener “Roll Down Your Window Slowly”. while it’s a great start to the EP, it’s not necessarily a precursor to what you’ll hear on the rest of the EP stylistically or sonically. The second track, “Feed My Evolution” feels like a straight ahead rock track with some of those great blues riffs and that soulful voice up front. The one thing that really feels different from the opening track here, though, is that I can’t shake the notion that James grew up not only on the blues and country greats, but also on 90s grunge and alternative. There’s something akin to an Alice in Chains or Soundgarden influence that sneaks into this one. Overall, it feels a ton like a song Jack White could have written and been damn proud of. The EP takes a bit of a turn after these two tracks with a bit more of a folk rock feel and country twang. James’s powerful vocals remain one of the constants through the EP, along with his ability to write a melodic and emotive song. The remain tracks all feel a bit less rock oriented, but are no less fantastic. “The More You Say, The Less I Know” feels like a one that’ll make the neo-folk scenesters swoon, while “Blatantly” may owe a bit more of it’s feel to the 70s singer-songwriter or Eagles type of influence. The EP closes in a much different way that it opens, but equally strong. The ballad “When It’s Real” is one that’ll appeal equally to country fans, alt-country aficionados, and pop listeners. It’s as much James Blunt as it is anyone mentioned up until this point. In short, it’s a beautiful pop ballad. The long and short of it all is that Maxwell James is one of Nashville’s best kept secrets. While Nashville is more known for its pop country and Christian contemporary scenes, it James and his cronies that show us what kind of new and interesting music the city is still producing.